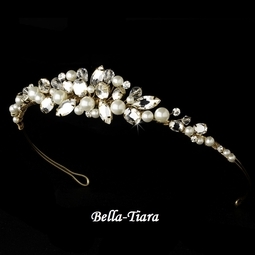 Description: This delicate tiara is beautifully adorned with sparkling Swarovski crystals, rhinestones, and faux pearls. A lovely addition to your wedding hairstyle. 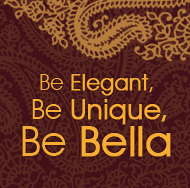 Add the beautiful necklace and earrings set to complete the look! Graceful and elegant, this gold plated necklace with lobster claw clasp and earring set features clear Swarovski crystals, rhinestones, and ivory faux pearls, coordinating beautifully with your wedding dress. Necklace Size: 14 1/2" x 2 1/4" Earrings Size: 1 1/2"